Our school believes in developing the whole person and aims to encourage every student to believe in themselves and strive to fulfil their potential. 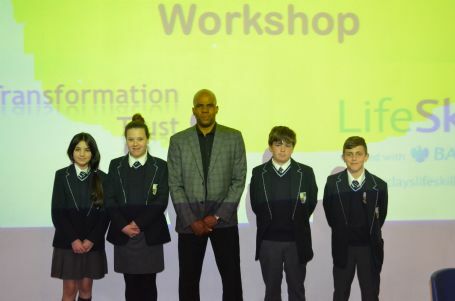 Today, Year 10 participated in a workshop that asked them to consider whether they were making the most of their opportunities .Kevin Beckles delivered the inspirational workshops that encouraged our students to identify how the development of personal skills will increase their employability. 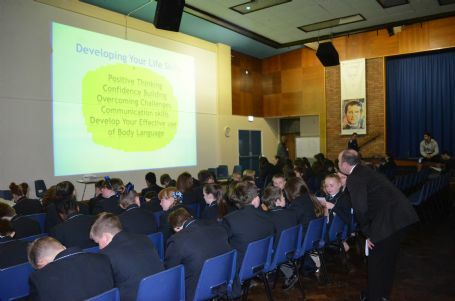 As well as helping the students understand how personal presentation and behaviour contribute towards career success and reaching personal goals. After break Year 7 were considering how vital good communication skills and personal resilience are. Through discussion and activities students understood that we grow by overcoming challenges. Students developed an understanding that fear is normal and something everyone experiences and to realise that by treating challenges as opportunities, we can find reasons to overcome our fears. In today’s world of social media the students need to be aware that their digital imprint laid now may affect their future career possibilities /opportunities. It helped our students understand what is meant by online reputation and why it is important. The students developed an understanding of how misusing social media can affect future education and job prospects. 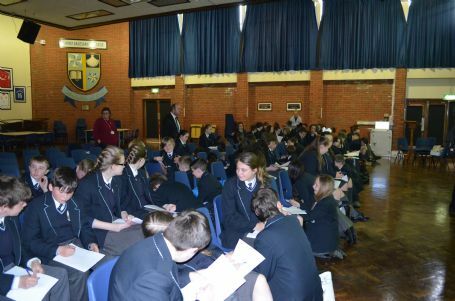 The students were encouraged to consider how they can create a positive digital footprint. The day proved very insightful and informative, as we hope that the messages communicated have a positive impact upon our students’ futures.